Leia Dongue played in Mozambique for Desportivo Maputo during the first part of her career, winning the African Champions Cup in 2008. In 2009, Leia Dongue averaged 9.4 points and 7.1 rebounds in 19 minutes per game in the Afrobasket and she was selected in the African Champions Cup First Team and was the Championship´s best rebounder. In 2012, Leia played the Qualifying Round for the Olympic Games and she averaged 12.5 points and 8 rebounds per game while also winning the African Champions Cup and being named in the Tournament´s First Team. In 2013, Leia Dongue won the Silver Mdal in the Afrobasket and she averaged 14.3 points, 8 rebounds and 2.6 steals in 23 minutes per game with 67% from the field. 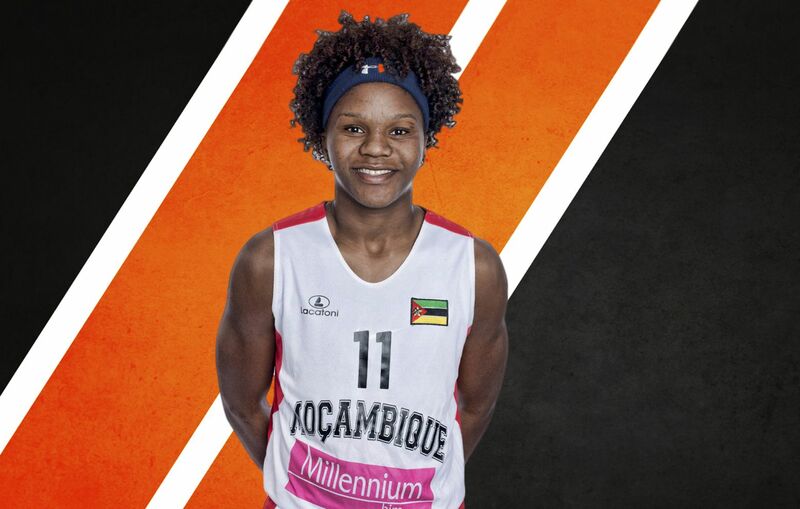 At club level, Leia Dongue signed in Angola with Primero de Agosto and she was named in the African Champions Cup First Team after averaging 21.7 points and 9.3 rebounds in 27 minutes per game. With Mozambique, Leia Dongue was an impact player in the 2014 World Championship and she averaged 15 points and 11.7 rebounds per game, shining against France (18 points and 11 rebounds) and Turkey (17 points and 14 rebounds). In 2015, Leia Dongue won the African Champions Cup and in 2016 she was name in the same competition´s First Team. In March 2016, Leia Dongue had her first professional experience in Europe and she signed in Spain with Al-Qazeres, averaging 17.2 points, 7.9 rebounds and +17.2 efficiency in 22 minutes per game, promoting her team to Spanish top division after a 25 points and 10 rebounds effort in the key game. In 2017, Leia Dongue was named one more time in the African Champions Cup First Team after averaging 15.7 points and 5.7 rebounds in 22 minutes per game with 64% from the field. With her national team, Leia Dongue reached the 2017 Afrobasket Semifinals and she was named in the Tournament´s First Team after averaging 16.9 points and 7.6 rebounds per game. In January 2018, Leia Dongue signed in Spain with Gernika and she averaged 11.4 points and 4.9 rebounds in 19 minutes per game, shining against Sedis (22 points in 25 mintes), Girona (21 points in 26 minutes) and Ferrol (20 points and 10 rebounds).